The Alberta government will introduce a $90-million tax credit program next year to encourage investment in small- and medium-sized tech firms, Economic Development Minister Deron Bilous said Monday. "Among the best things we can do to set the province on the path to recovery is encouraging knowledgeable investors to fund Alberta-based startups," he told a news conference at Jobber, 10520 Jasper Ave., a small Edmonton company that handles customer paperwork and office management. 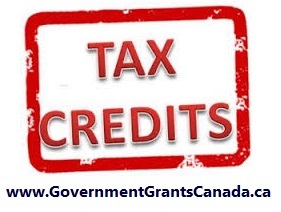 The Apprenticeship Job Creation Tax Credit is specific to Red Seal Trades and provides a non-refundable tax credit of up to 10 per cent of the eligible wages to a maximum of $2,000 per year for each apprentice for the first two years of their apprenticeship. Businesses across Canada can claim any unused credit back three years and forward 20 years. An "eligible apprentice" is someone who is working in a prescribed trade in the first two years of their apprenticeship contract. This contract must be registered with a federal, provincial or territorial government under an apprenticeship program designed to certify or license individuals in the trade. This is a federal incentive program designed to help employers offset the cost of hiring and training employees who have entered into an apprenticeship contract. You can take advantage of a non-refundable tax credit equal to 10% of the eligible salaries and wages paid to apprentices. Any unused credit may be carried back 3 years and carried forward 20 years. The maximum credit is $2,000 per year for each eligible apprentice. There is also the added benefit of having higher skilled employees as part of your team. Any business that hires someone working in a prescribed trade, in the first two years of their apprenticeship contract qualifies. Access a list of the prescribed trades currently listed as Red Seal Trades or check out the list below. Salaries and wages paid by the employer to an eligible apprentice for the apprentices' employment in Canada during the first 24 months of the apprenticeship are eligible. The employment must have begun after May 1, 2006. Remuneration based on profits, bonuses, and taxable benefits including stock options, and certain unpaid remuneration don't qualify. Form T2SCH31, Investment Tax Credit – Corporations. Forms can be ordered on-line at www.cra.gc.ca/forms or by calling 1-800-959-2221. General Income Tax and Benefit Guide, Form T2038(IND), Investment Tax Credit (Individuals), Guide T4012, T2 Corporation – Income Tax Guide and Form T2SCH31, Investment Tax Credit – Corporations. They are available on the Canada Revenue Agency (CRA) web site. You can also call CRA's Business Enquiries line at 1-800-959-5525.